For a state with a sizeable Black population, and several thousand more here from Africa to attend one of our many universities, Kentucky has surprisingly few African or Soul Food restaurants. There are only two serving African food : Savs in Lexington specializing in Western African, and Queen of Sheba in Louisville specializing in Eastern Africa. In both cities, restaurants claiming to serve Soul Food actually serve Comfort Food. Any true Soul Food restaurant must serve Okra, Collards, Country Fried Steak, Sweet Potato Pie, Black Eyed Peas, Hoppinjon, Turnip Greens, Cornbread and various parts from "low on the hog." A restaurant only serving Fried Chicken, Mashed Potatoes, Chicken & Waffles, Apple Pie and Meat Loaf is not a soul food. restaurant. Those were white dishes first, before they were adopted by Blacks. The reason Soul Food evolved as it did was because the slaves did not have access to "high class" foods unless they worked in the kitchen up at the Big House. They had to make do with foods their owners considered undesirable. So over several generations, slaves and later their freed descendants learned to fix these foods in delicious ways. Kentucky did have one of the nation's finest Soul Food restaurants, Sharecropper, but it closed several years ago when the owners retired and has never been replaced. Fortunately, Savs and Queen of Sheba are outstanding. They're not only the best African restaursnts in Kentucky, but two of the best in the entire region. 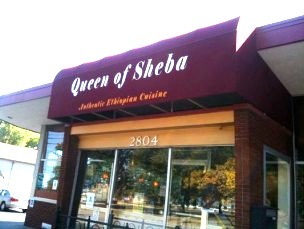 Queen of Sheba is worth driving in from Lexington, Bowling Green or Cincinnati. It specializes in Ethiopian cuisine. 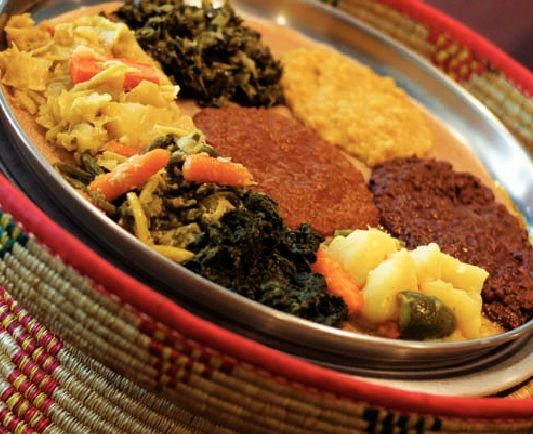 Ethiopian food is one of the oldest in the world (the human race originated in the Rift Valley). This was the first place humans tasted Coffee and is still the home to much of the world's best. Injera is a sourdough flatbread which serves as the plate or bowl on which most other foods are served. But it also serves as a utensil. You use pieces of it to grab a bite of something or sop up gravy (There are no forks, knives or spoons in Ethiopian dining.) Wat is a Stew, either meat or vegetarian. Spices are essential. Some are hot, but many are mild and sweet. The Ethiopian Orthodox Church forbids eating meat on Wednesdays or Fridays, so the cuisine is heavily vegetarian, usually beginning with a kind of banana. We highly recommend the appetizer Beyaynetu, which is a sampler of all the other appetizers. You get one or two bites of their various meats and vegetables. There are many Wot dishes; we recommend the famous Doro Wat, national dish of Ethiopia, pictured at top right. 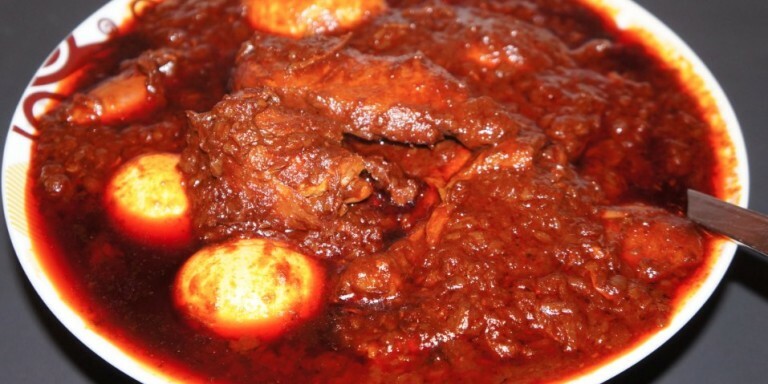 It's a spiced chicken stew with garlic, ginger, red chili sauce and drum sticks slowly cooked with minced onions.